Initial testing of the specimen indicated a seasonal influenza A (H3N2) virus and the specimen was submitted to CDC as a routine surveillance sample. The above graph displays West Virginia serotypes in the 2011/2012 season. The first two examples of the current H3N2v sub-clade sequences (A/West Virginai/06/2011 and A/West Virginia/07/2011) are displayed in the above graph as are the three 2012 H3N2v cases (week 32) who were reported to have attended the Gallia Junior County Fair in Ohio. Gallia County ran rapid tests on 200 symptomatic attendees and 69 were influenza A positive. 11 of the cases were listed in the Ohio Department of Health report of August 13. In the August 24 report, the number of confirmed cases increased to 12, raising concerns of new cases. The hundreds of H3N2v cases in Gallia County, Ohio led to local testing of children in Ashland County, Kentucky, which is adjacent to Galiia. Influenza A positive samples from six cases were sent to the Kentucky State lab where they were diagnosed as “seasonal” H3n2 as noted in an Ashland-Boyd press release and a Kentucky health alert. West Virginia also reported a seasonal H3 cases in week 32, as seen in the above graph, which also has 3 H3N2v cases reported in the same week. The West Virginia seasonal H3 samples was not sent to the CDC for confirmation, and Kentucky and the CDC failed to respond to repeated inquiries on CDC confirmation of the six cases in Kentucky. The above comments describe the testing of A/Pennsylvania/40/2010, which was initially reported as seasonal H3. This mis-diagnosis was also reported for A/Maine/07/2011 as well as A/West Virginia/07/2011 because the RNA level in the 2011 cases was low, so the CDC RT-PCR test yielded a weak H3 positive and a negative on the H1N1pdm09 NP target which is used to identify H3N2v cases which are H3 positive. The West Virginia 2011 contact was intially reported as influenza A. In the 2011 cases H3N2v dianosis was based on partial sequencing. Full sequences for these recent cases have never been reported, because the low level of RNA precluded culturing. The 2010 case was eventually cultured, but the sequence was reported 5 months after collection. Thus, samples which are classified by seasonal H3 by RT-PCR require sequence confirmation, especially if the RNA levels are low, yet there have been no statements from the CDC, Kentucky, or West Virginia that the August “seasonal” H3 cases in counties adjacent to the Gallia H3N2v outbreak have been sequence confirmed, even though the CDC has asked physicians to “consider” testing off season ILI cases with no swine contact. 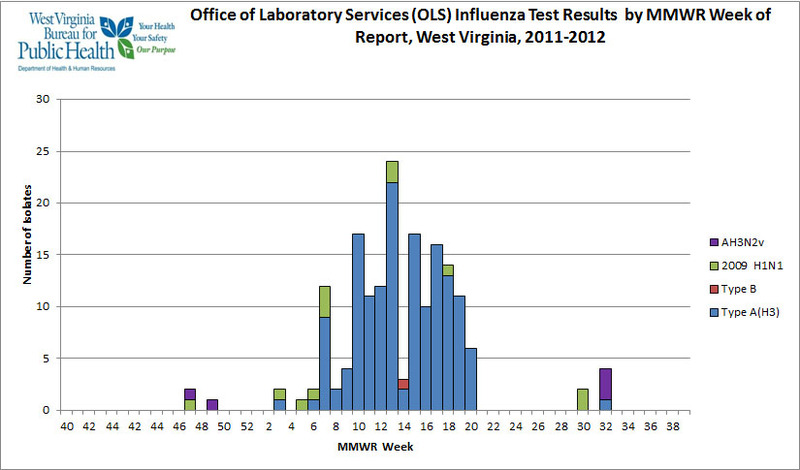 The West Virginia week 32 seasonal H3 was not sent to the CDC because the CDC did not ask for the sample. The heavily biased CDC testing of ILI with swine contact continues to be hazardous to the world’s health. © 2012 Recombinomics. All rights reserved.